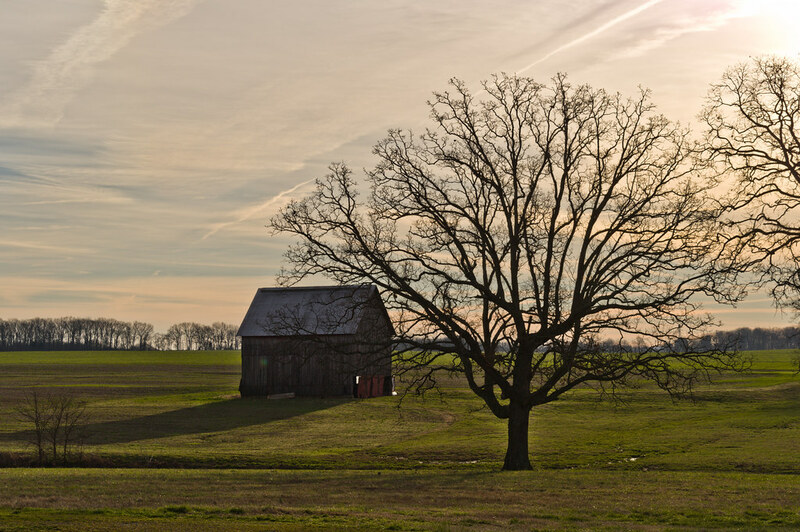 In low winter sunlight, my barn. 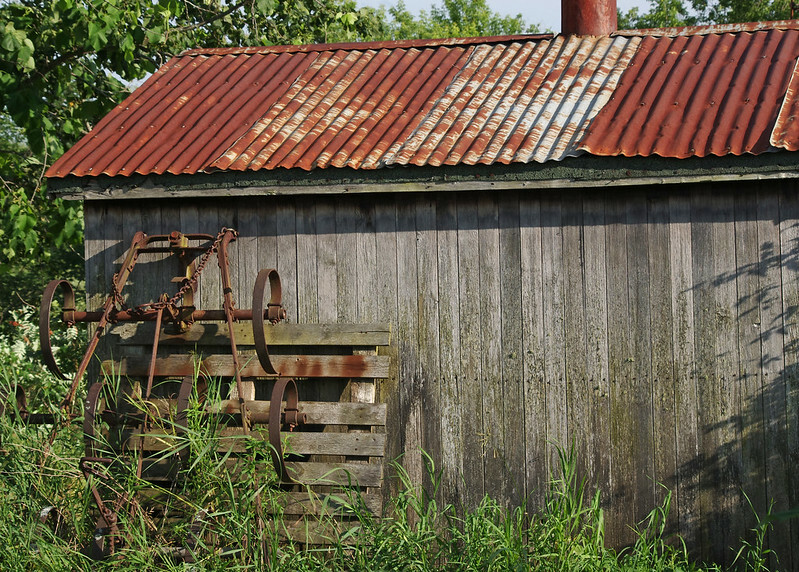 Sad, but I would rather see an old barn slump in ultra-slow-motion down to the ground, as decay takes it, than see it bulldozed so that it can be replaced by a gigantic metal equipment shed. 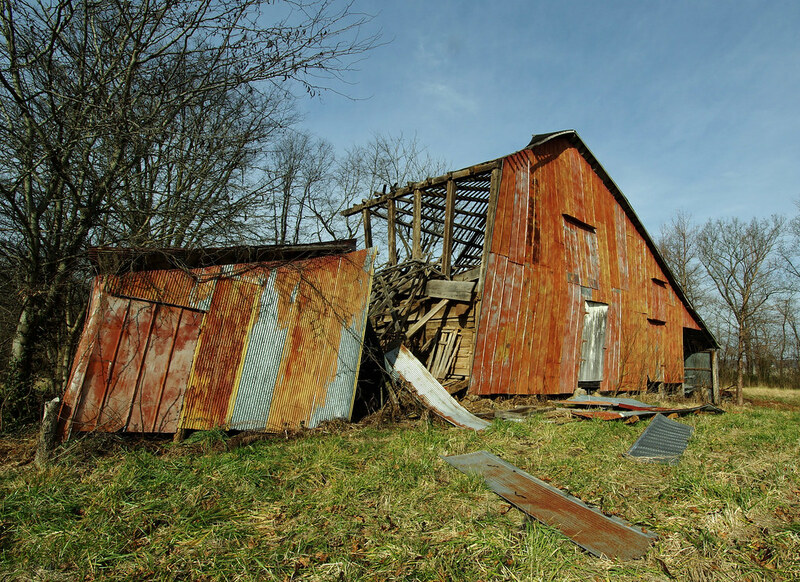 The old barn, in mid-fall, at least seems to still contain its memories, even if we can only guess about many of them. 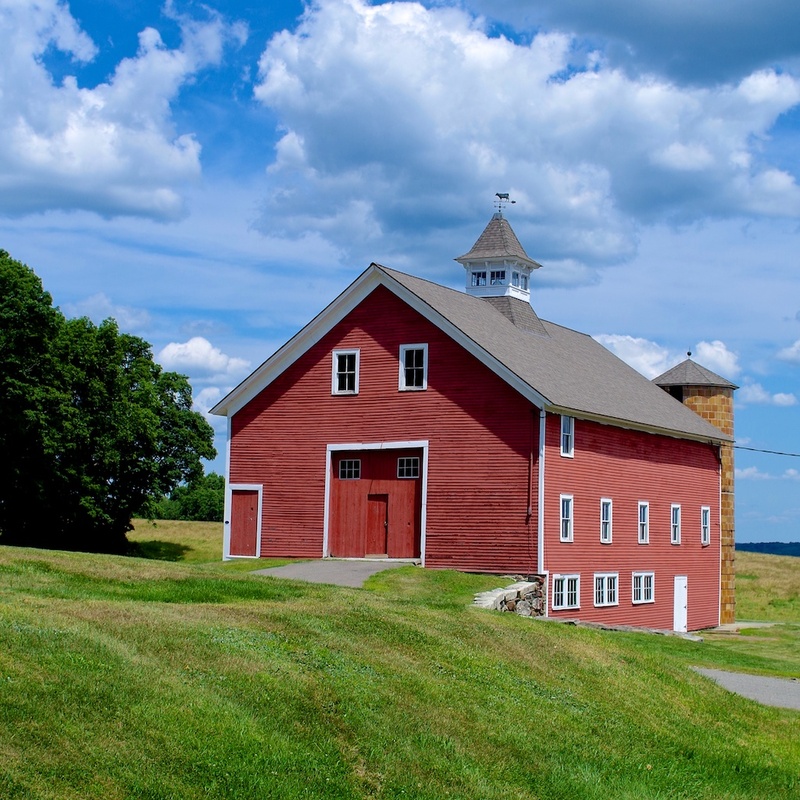 I think the main thing to keep a barn's repair or restoration possibilities open is to keep a good roof on it. 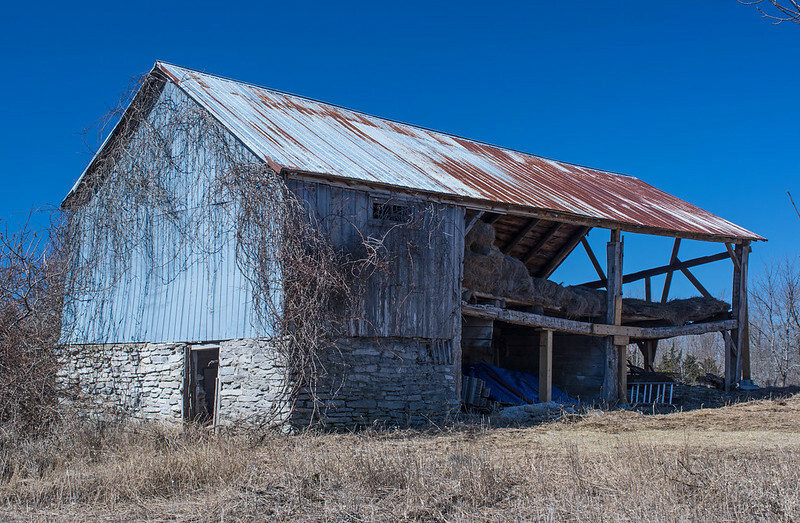 With our nowhere-near-antique pole barn, we got lucky. 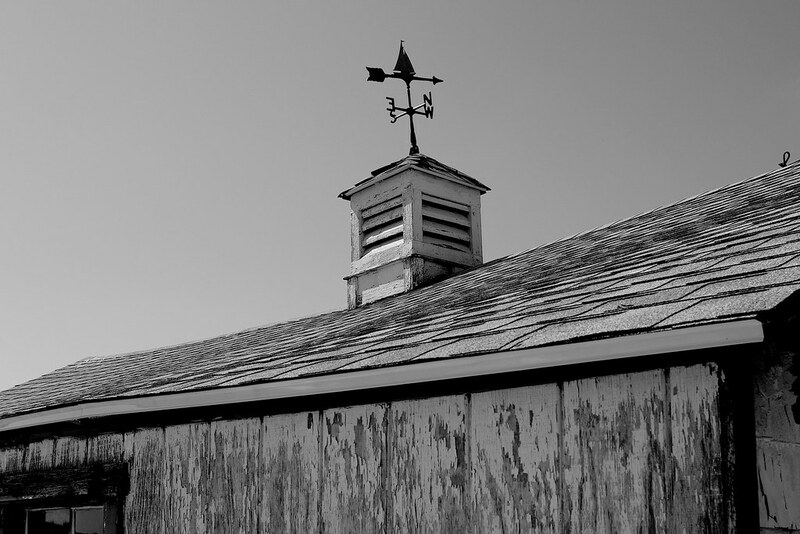 When it had some roof deficiencies we needed to address, a windstorm did serious damage to the barn roof and to our house's shingles. The insurance adjuster, said that they both needed replacement, and our policy, minus deductible charges, would cover it. 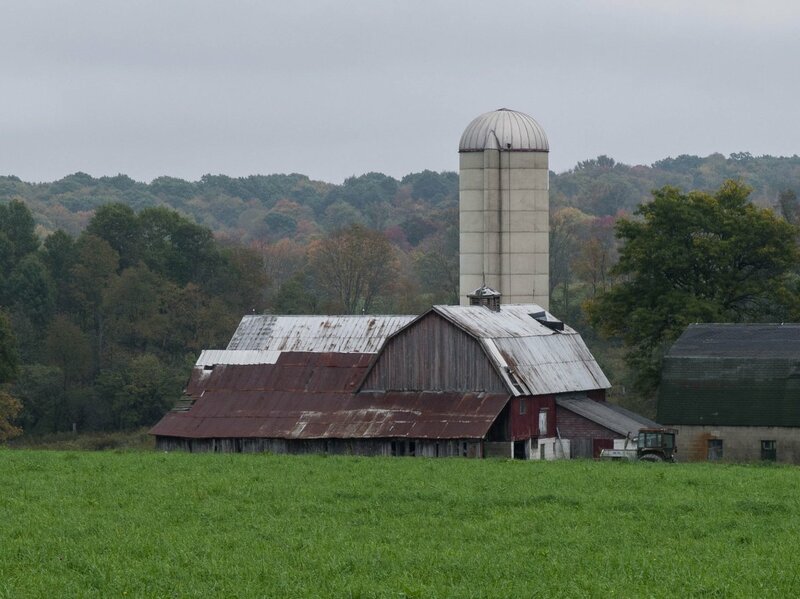 That was several years ago, and except for some minor repair we took care of fixing on one corner, that barn roof is still solid and not a source of worry. 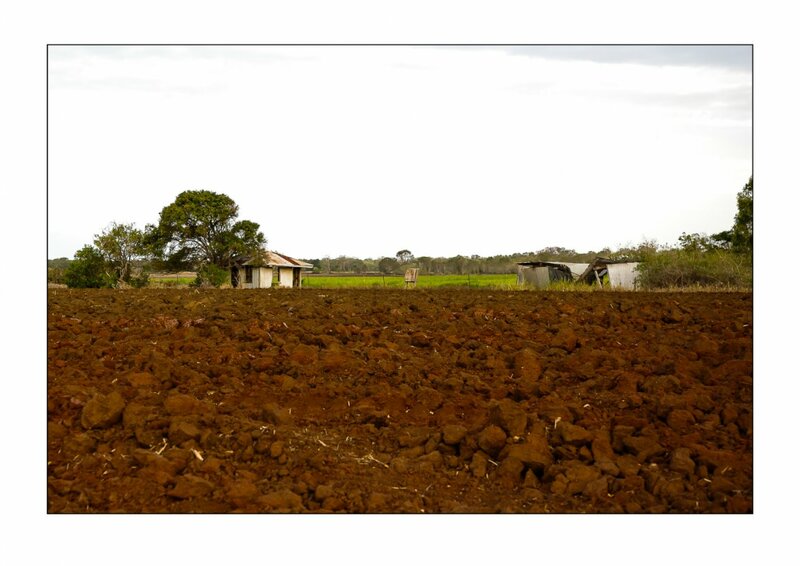 It would probably be in bad shape by now, if not for that windstorm and the insurance, since we were short of resources much of the intervening time! Yes very much agreed. My hope is that we can make something else from the salvage or at least use the tin to keep up the other out-buildings. It was indeed the loss of the roof that accelerated the deterioration. We never seemed to find the time to get the pieces back on the roof. But we have done well with the other buildings. 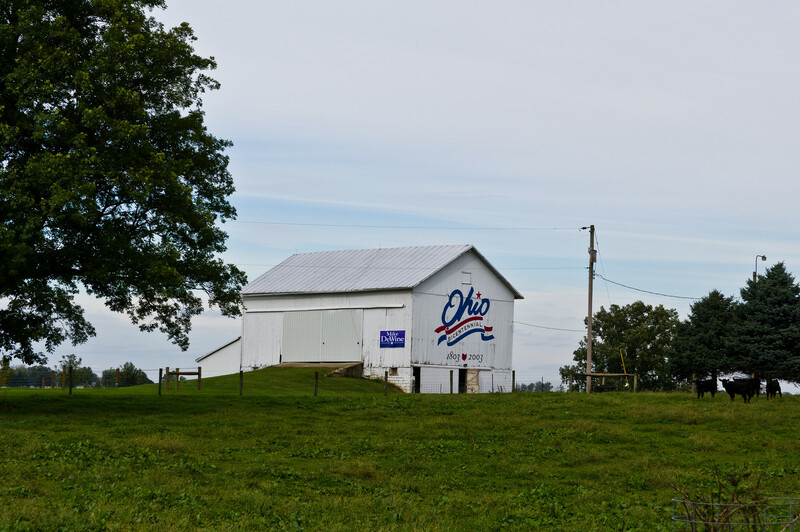 You were lucky to have insurance coverage that covered the barn roof. I don't think the farm insurance covers anything other than the house. 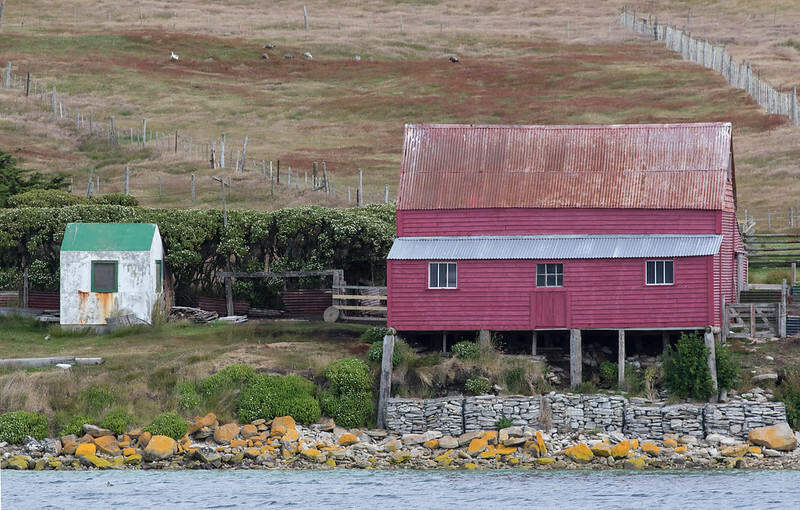 A seaside barn at the only settlement on West Point Island, Falkland Islands. I took this photo with my new to me Sigma 18-35 1.8 Art. First photo taken with this lens Happy for any critical thoughts. 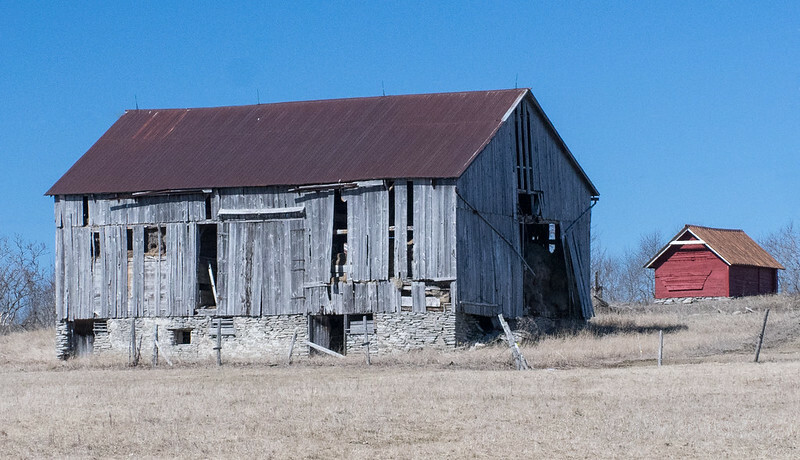 A couple of neighbouring barns on Amherst Island, Ontario. Cross posted from the "buildings past their best" thread.